Five new ships. 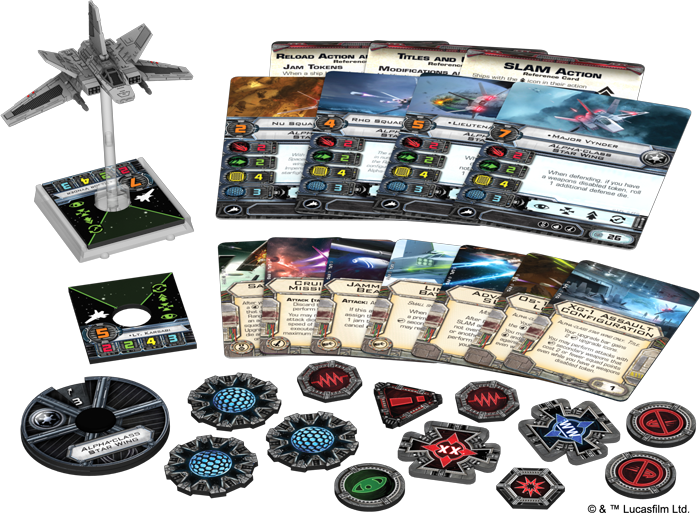 Five new ways to take your starfighter squadrons to the next level in X-Wing™. Whether you’re flying with the Lothal Rebels before the first days of the Galactic Civil War or you’re joining the space battles between the First Order and the Resistance in The Last Jedi, you can expand your options with the five ships from X-Wing Waves XII and XIII! Like Star Wars fans around the world, you’re thrilled and excited to watch the next installment of the saga—Star Wars: The Last Jedi. 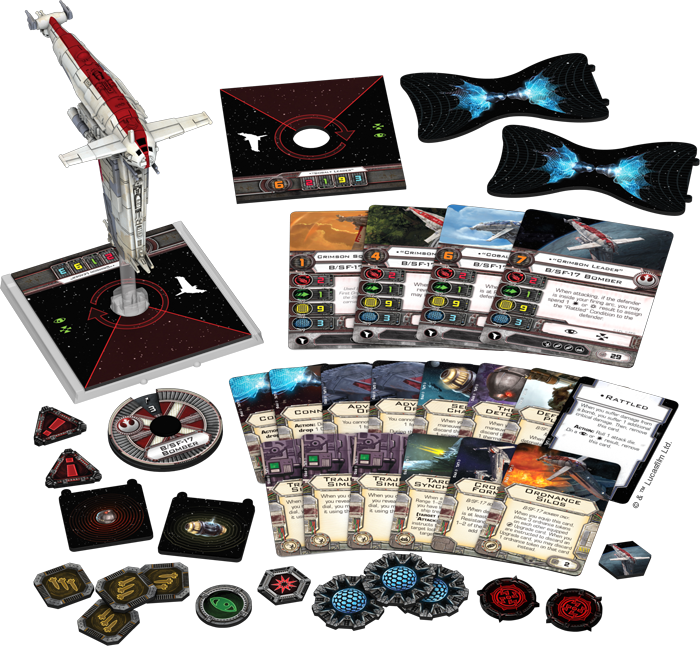 Now, you have the chance to play out some of the battles between the First Order and the Resistance on your tabletop before the movie even comes out, with the Resistance Bomber Expansion Pack. 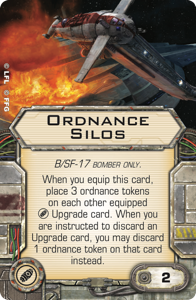 B/SF-17 heavy bombers—otherwise known as “Resistance Bombers”—are flown by the brave Resistance pilots who use these craft to strike at the heart of the First Order. Packed with destructive ordnance and protected by rotating turrets, a B/SF-17 bomber can turn the tide of a battle by deterring enemy forces with mines and annihilating key targets with bombs. The Resistance Bomber Expansion Pack gives you the chance to fly with the Resistance, but your sympathies may lie with the First Order instead. Fortunately, the First Order brings a new type of TIE to the battlefield with the TIE Silencer Expansion Pack, giving you your chance to see how the ship flies on your table before you see The Last Jedi in theaters. Only the First Order’s most elite fly the TIE/vn Space Superiority Fighter, a high-performance craft as demanding of its pilots as it was deadly to its enemies. Only pilots with the highest aptitude and advanced training can control these ships as they speed through space, weaving past obstacles to tear apart specific targets with precise fire. You can pick up your copy of the TIE Silencer Expansion Pack today to add a fully-painted TIE silencer miniature to your squadrons. With the arsenal of cards, tokens, and dials that you need to serve the First Order, this expansion is an essential addition for any servant of the dark side. Since it first appeared in the Star Wars: X-Wing computer game from LucasArts, the Alpha-class star wing has been a fan favorite. 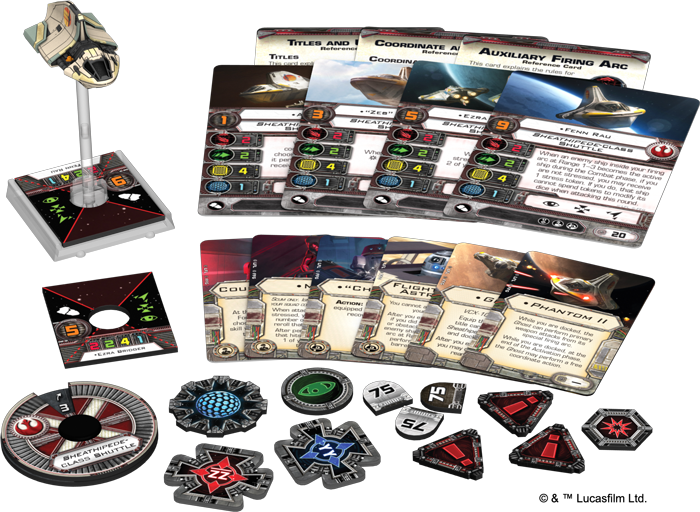 Now, this starship is finally making its debut in the X-Wing Miniatures Game as an impressively durable and versatile Imperial starfighter. As the Empire’s first widely deployed ship that carried shields and a hyperdrive, the Alpha-class star wing was known as a heavily armed and dangerous fighter—thought it could be somewhat limited in its maneuverability. Still, the star wing more than made up for any lack of maneuverability with its potential for delivering a devastating alpha strike at the beginning of the game. 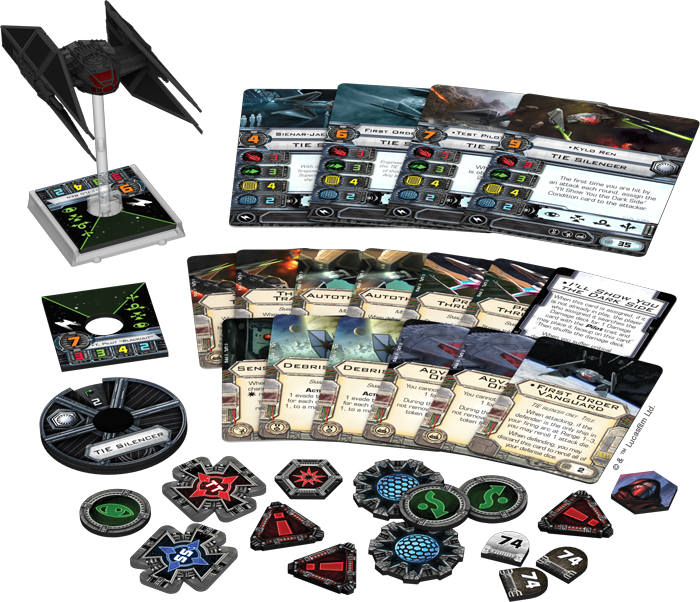 With a fully-painted miniature, a wide array of pilots and upgrades, plus the tokens and dials that you need to bring your ship to life on the tabletop, the Alpha-class Star Wing Expansion Pack is an undeniable boon for any Imperial starfighter squadron. The galaxy’s Scum and Villany do not go wanting with this latest release of X-Wing ships. 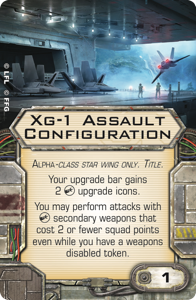 Whether they’re fighting for an organized cartel or just looking for a fighter that packs a punch on its own, they find an ideal candidate for their squadrons in this expansion. Primarily flown by enforcers of the Hutt kajidics and other criminal organizations, the M12-L Kimogila fighter is dreaded by spacers across the Outer Rim for its ordnance capacity and the withering torrents of coordinated fire that it can unleash. When you pick up your copies of the M12-L Kimogila Fighter Expansion Pack today, you gain access to that fighter in your own Scum and Villainy squadrons. 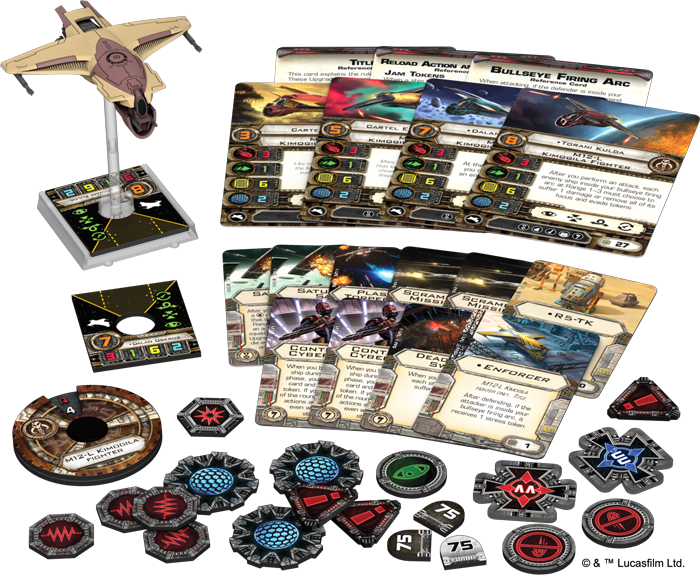 The M12-L Kimogila Fighter Expansion Pack invites you to play with a fully-painted miniature and all of the cards, tokens, and dials that make it such an important addition to Scum and Villainy hangars across the galaxy. From its initial appearance in the first season of Star Wars Rebels, the Phantom has been a valuable tool, docking with the Ghost and providing a second starship for the Lothal Rebels to use in their fight against the Empire. In the third season of Star Wars Rebels, that ship is replaced with the Phantom II. Recovered by the Spectres from a Clone Wars-era military base, the Phantom II is a heavily modified Sheathipede-class shuttle with upgraded weapons and a custom docking system compatible with the Ghost. With a little love from the crew of the Ghost, the Phantom II can become a part of your Rebel squadron with the power to forge a legend as large as the original Phantom. 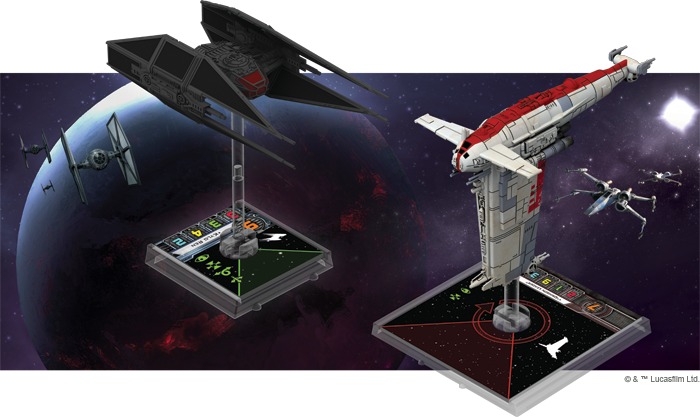 The Phantom II Expansion Pack is the perfect tool to add this new ship to your Rebel squadrons, with a beautifully painted Phantom II miniature, plus a wealth of cards, tokens, and the maneuver dial that you need to bring this ship fully into your games of X-Wing. Star Wars: The Last Jedi is almost in theaters—and you have the chance to fly some of the ships on your tabletop before you see them on the silver screen. Pick up two new starships featured in The Last Jedi, as well as three other ships from the era of the Galactic Civil War at your local retailer today!